We see so many patients who have already had surgery somewhere else and are disappointed in the outcome. They have unresolved numbness, pain or weakness after extensive surgery and feel they should be doing much better. Their expectations have not been met. For most of us, if we are recommending surgery to a patient, we want them to feel comfortable and confident going into the operating room. Yes, this is important but it may raise expectations to an unreasonable level. That, and marketing techniques of “back to work in three days” or billboards showing a twenty year old running down the beach, with a band-aid on her back, create an unrealistic goal for both the surgeon and the patient. Trust me, if the patient is not happy, neither is the surgeon, unless he/she is oblivious of their actual outcomes. Back surgery has made great progress over the last few years. Minimally invasive surgery has led to smaller incisions and quicker recoveries, but it’s still spine surgery. The actual diagnosis of herniated disc, spinal stenosis, spondylosis etc. did not change. 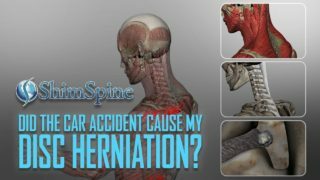 Many of these spine injuries, or diseases, cause irreparable harm such as nerve or spinal cord injury that no minimally invasive (or open for that matter) surgery can fix. Sometimes the goal is only to keep things from getting worse. Patients need to be aware of the realistic outcome expected. Also comes the question of how much a surgeon has to do to make a patient’s life improve. 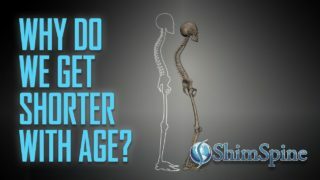 Do you do a big three level fusion on someone who is older, inactive or sedentary; or do you do a simple decompressive surgery that will relieve pain and be easier to recover from? They may never go in a marathon, but that wasn’t the plan anyway. We need to give proper information to our patients. We cannot give a sixty year old a twenty year old back. There is often residual numbness after a nerve has been compressed for a long time. It might get better the day of surgery, in the next six months, or never. Everyone reacts differently to pain medications and pain itself, so we can’t be sure what we order for you is exactly what you need. You may not need any. There is a chance a second surgery may be needed down the road. We can give you percentages of likelihood but nothing absolute. All we can do is go by the patients history, the seriousness of the problem, the length of time there has been symptoms, and the surgery being done. As a patient, ASK! What can I expect from this surgery? What is the plan if I don’t get better? Are we making me better or preventing me from getting worse? How long before I can expect some positive results? Unrealistic expectations don’t do anyone a favor. An informed patient is one who doesn’t expect miracles and has the patience to get better under a realistic timeline.